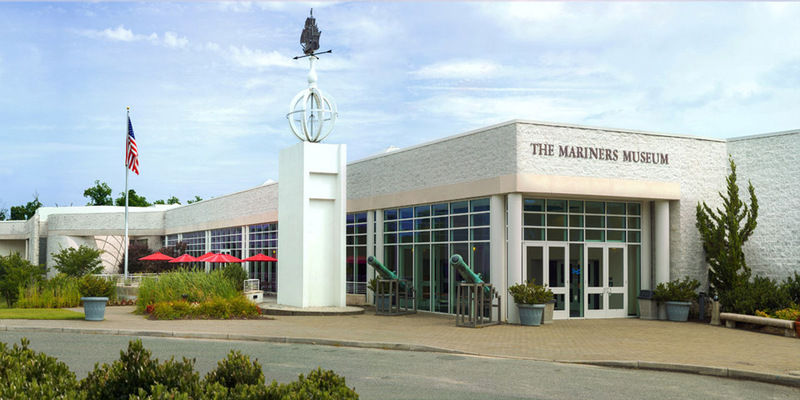 The Mariners’ Museum and Park preserves and interprets maritime history through an international collection of ship models, figureheads, paintings, and other maritime artifacts. Designated by Congress as “America’s National Maritime Museum,” it is home to the USS Monitor Center, a state-of-the-art exhibition and conservation lab. A guided “highlights” tour of the museum’s priceless collection is included. The Hampton History Museum’s extensive collection highlight 400 years of the greater Hampton community, including the diverse contributions of Native American chiefdoms, English settlement, arrival of the first Africans, revolutionary and civil wars, and the future of space exploration. A specially led tour of their exhibition galleries and a presentation focusing on the basic science, physics and math concepts that were involved in the early days of the manned space flight program, especially the Apollo Space Flights and the work of the African American female mathematicians at NASA is included. This travel program includes lunch at the Hampton Yacht Club on the Hampton River. With a rich history of its own, dating back to 1926, the club is a yachting and social center on the Virginia Peninsula. Virginia Journeys is a member-only travel program. The reservation fee is nonrefundable. Cancelled reservations may be eligible for a charitable contribution tax deduction and will be receipted. By Private Robert Knox Sneden. Edited by Charles F. Bryan, Jr., James C. Kelly, and Nelson D. Lankford The Civil War legacy of Robert Knox Sneden is an unparalleled treasure trove of words and pictures. The publication of the bestselling Eye of the Storm in the fall of 2000 first brought his memoir to light, accompanied by a sample of his artwork. In all, however, he crafted some 900 watercolors and sketches. Now, with the 300 watercolors, sketches, maps, and diagrams in Images from the Storm, his artistic legacy can be appreciated on its own terms—an achievement equal in magnitude to his writings, and unsurpassed by any other Civil War soldier-artist. Images from the Storm presents the best of Sneden's art throughout his odyssey of combat, capture, imprisonment, and deliverance, a pictorial record of the war that puts the viewer in the shoes of a Union soldier as nothing else can. 288 pages, Hardcover, ISBN 0-743-22360-8, Free Press, 2001.
by Anna Gibson Holloway and Jonathan W. White On March 9, 1862, the USS Monitor and CSS Virginia met in the Battle of Hampton Roads―the first time ironclad vessels would engage each other in combat. For four hours the two ships pummeled one another as thousands of Union and Confederate soldiers and civilians watched from the shorelines. Although the battle ended in a draw, this engagement would change the nature of naval warfare by informing both vessel design and battle tactics. The “wooden walls” of navies around the world suddenly appeared far more vulnerable, and many political and military leaders initiated or accelerated their own ironclad-building programs. Americans did not initially have much faith in the Monitor. Few believed that this strange little vessel could hold her own against the formidable Confederate ironclad Virginia, which had been built on the bones of the scuttled USS Merrimack in Portsmouth, Virginia. The Virginia, seemingly relentless and unstoppable, had ravaged the U.S. Navy in Hampton Roads on March 8, just before the Monitor arrived. Yet the following day, the “cheesebox on a raft” proved her Union mettle, becoming a national hero in her own right. For the remainder of the Civil War the Union Navy used dozens of monitor-style vessels on inland waters as well as at sea. But there would always be only one first Monitor, and she became affectionately known to many throughout the nation as “Our Little Monitor.” Her loss off Cape Hatteras on December 31, 1862, was mourned as keenly in the press as the loss of 16 of her men that night. Using the latest archaeological finds from the USS Monitor Center in Newport News, Virginia, as well as untapped archival material, Anna Gibson Holloway and Jonathan W. White bring “Our Little Monitor” to life once more in this beautifully illustrated volume. In addition to telling her story from conception in 1861 to sinking in 1862, as well as her recent recovery and ongoing restoration, they explain how fighting in this new “machine” changed the experience of her crew and reveal how the Monitor became “the pet of the people”―a vessel celebrated in prints, tokens, and household bric-a-brac; a marketing tool; and a prominent feature in parades, Sanitary Fairs, and politics. 304 pages, Hardcover, ISBN 978-1606353141, The Kent State University Press, 2018.